Ursodeoxycholic acid (UDCA) is essentially bile acid ingested in the liquid form or in the form of a tablet to cure gallstones. Those can cure or thwart the progress of cystic fibrosis-related liver disorder. UDCA transforms the bile acid pool by lowering the levels of hydrophobic bile acids. This increases the amount of nontoxic hydrophilic bile acids. Besides, UDCA can slow down the development of gastroesophageal varices and progression to cirrhosis. Further, it can also better chances of survival of patients. It is said that substantial betterment of liver health can be achieved with UDCA therapy in people afflicted with primary sclerosing cholangitis, intrahepatic cholestasis of pregnancy, nonalcoholic fatty liver disease, total parenteral nutrition-induced cholestasis, cystic fibrosis-associated liver disease, graft related liver disease, and in certain cholestatic liver condition in children. Cholestatic liver diseases are at the forefront of driving demand in the global ursodeoxycholic acid market. Rising instances of gall stones and cystic fibrosis is in large part responsible for driving the market. As per 2015 data released by Cystic Fibrosis Foundation, about 30,000 people are afflicted with cystic fibrosis in the U.S. alone. Women are highly prone to having gallstones when compared to men. This is mainly because of the high levels of estrogen during pregnancy, hormone replacement therapy, and usage of birth control pills. Further, older adults are also highly susceptible to gallstones along with those having a family history of gallstones. While surgery is the most widespread treatment for it, ursodeoxycholic acid can dissolve smaller stones formed mostly of cholesterol. This is having a positive impact on the market. Certain side effects of UDCA, on the other hand, are preventing the ursodeoxycholic acid market from achieving its full potential. For instance, treatment with UDCA often leads to diarrhea. As per a study by the National Center for Biotechnology Information (NCBI) published in 2017, the incidence of diarrhea in patients with gallstone being treated with UCDA is almost 2 to 9%. Besides, the treatment also leads to side effects such as vomiting, nausea, dry skin or itching, sleep disturbance, and headache. Cause of such side effects, it cannot be administered in the first trimester of pregnancy. The two types of ursodeoxycholic acid available in the market are extraction ursodeoxycholic acid and synthetic ursodeoxycholic acid. Of the two, the synthetic ursodeoxycholic acid is more substantial. Ursodeoxycholic acid finds usage in health products and pharmacy. Between the two, the health products generate most of the demand. With respect to geography, Europe at present rakes in maximum revenue in the global ursodeoxycholic acid market. This is primarily on the back of rising support of the government for liver diseases. Europe is not just the largest supplier of the product but also the largest consumer. North America ursodeoxycholic acid market is another prominent one because of the same reason. Surge in cases of cystic fibrosis is also having a positive impact on the market. 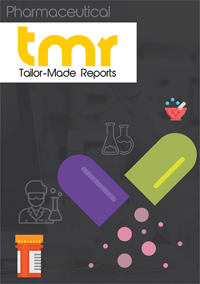 Some of the prominent participants in the global ursodeoxycholic acid market are Arcelor Chemicals, Abil Chempharma, Daewoong Chemical, Biotavia Labs, and Dipharma Francis. Market competition is intense. The overall ursodeoxycholic acid market is highly competitive and with consumer awareness will grow in future.